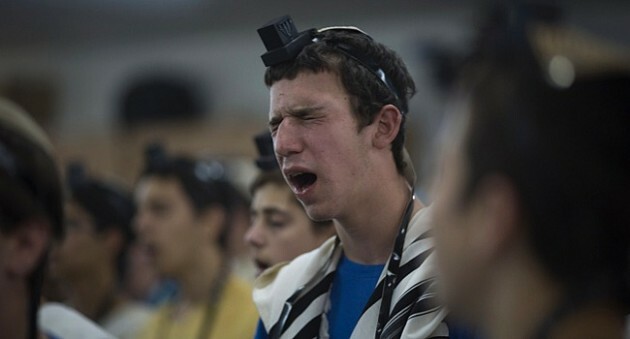 Beseeching: A Jewish student prays for the three teenagers believed to have been kidnapped by militants. Just yesterday, in discussing the role of God in our lives with inmates at the Ohio state prison where I serve as a volunteer Jewish Chaplain, I made the very same points made in this article by Leah Bieler, a teacher at the Jewish Theological Seminary. Prayer is a powerful tool that provides immeasurable benefits to the individual and the community. But the notion that through prayer we have the power to manipulate or cajole God into acting is tantamount to reducing religion to a magic act. God is the power that gives us hope and strength; God is the power of love, justice and compassion that empowers us to make our world a holier, more just place. I can’t deny the attraction of anthropomorphism. There is something very reassuring about the idea that there is an all-powerful kindly wizard somewhere we can call upon to intervene in human affairs. But such notions of God defy history, intellectual reasoning and all evidence to the contrary. God’s presence is encountered in our own behavior; in our capacity and willingness to act with mercy, compassion, patience and forgiveness. We are God’s conduits to performing miracles and making this a better world. Why Do We Resort to Reciting Psalms at Moments of Crisis? 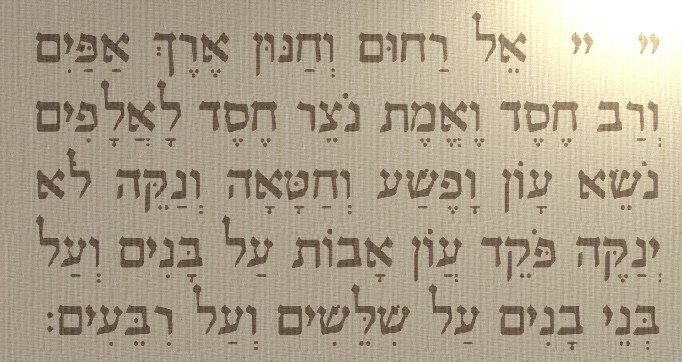 This story is floating through my mind recently, as email, Twitter and Facebook are filled to the brim with requests to say tehillim, psalms, for the three Israeli boys abducted last week. As a religious person, I completely identify with the need to cry out to God when tragedy strikes, and even more so when outcomes are uncertain and precious lives are at stake. There is immense comfort in praying together with Jews all over the world, asking for mercy and doing something, anything, when we feel truly helpless. But the tone of these appeals goes beyond a need to connect in a moment of calamity. There is a subtle, and sometimes not so subtle accusation. Why are you not reposting? Exactly how many tehillim have you recited? Are you certain you’ve said enough? Say these psalms, or else. You will be responsible for whatever happens. Unless of course, something wonderful happens. In which case all glory goes to those Jews who put their heart and soul into non-stop recitations and hashtag sharing. Years ago, a friend died unexpectedly, leaving behind two young children. At the shiva, I overheard women discussing how she should have had her mezuzahs checked, the implication being that she hastened her own death by virtue of being less than punctilious in her observance of mitzvot. Much like the self-help books that claim that a positive outlook can cure cancer, or that wearing the perfectly modest skirt will make you immune to assault, these attitudes all have one thing in common. They put the onus on the victim to magically prevent tragedy, because God will reward proper behavior, and punish missteps. But my friend was not felled by her unexamined mezuzah. A child ravaged by cancer is not being punished for feeling afraid. The woman who is raped in a dark alley was not asking for it. And I don’t like the idea of the Master of all things punishing those innocent boys because we said the wrong psalm, or no psalm at all. When my little girl blamed the creator for the new viewing schedule, I explained that there were people who worked at the Public Broadcasting Service and that they determined to change the shows around. That God created humans, who used their intellect to understand electricity and photography and computers, and the list went on. That she could use her copious abilities to call or email the station in protest. That she might or might not get her show back, but that humans were in charge of the details. I’m not entirely sure she bought it. Up until that moment, everything around her had a touch of the miraculous. For a three-year-old, many things seem to happen magically, with no explanation. Kind of how I still feel about air travel, no matter how many times someone explains it to me. Individual and communal prayer have in them the potential for tremendous power. Prayer can force us outside of ourselves, help create and maintain empathy, form community, heal wounded souls. It can redirect our thinking, bind us to the past, and allow us to make space for a connection with the divine. All of these are holy purposes. But using prayer as a magic trick is a much dicier business. The moment I’m sure that my specific mode of praying will work miracles is bound to be short lived. I will, without fail, find myself disappointed in the end. For now, as far as anyone can tell, the lion’s share of fault for the kidnapping falls on the kidnappers, the masterminds, and the nature of a society where these actions are seen as viable options. When, please God, the boys are returned safely, the glory will not belong to those of us who prayed the best, or the loudest. It will belong to the police and to the soldiers — themselves but a few years older than those frightened boys — who risked their lives to partner in a miracle. And to the boys themselves. And to the Master of the Universe, who created us to be cunning, and strong, and proud, and protective of the people and the things that we truly love. And that will be more than enough. Leah Bieler has an M.A. in Talmud and Rabbinics from the Jewish Theological Seminary. She teaches Talmud in Connecticut. Anthropomorphismasking for God's helpGod is not a magic actLeah Bielerprayer of petitionpurpose of prayerthe role of prayerwhat does prayer accomplish? Previous Previous post: Does Living in Fear of Tornadoes Make Them Hate? Thank you for posting this. I refer to some prayers as “blue couch prayers” after the request that a person sent out asking people to pray that they found a blue couch for their home. It was never my understanding that the creator was in the business of finding couches, blue or otherwise.